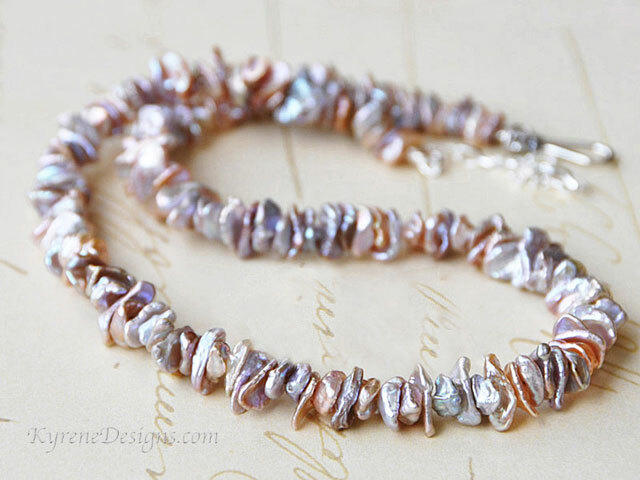 Gorgeous shimmering shades of natural cream, pink, silver, lavender - with copper overtones in this beautiful necklace which has a wonderful ethereal quality, a simple design to best show off the subtle colours. 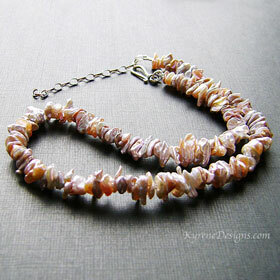 If you're looking for something different in the pearl genre, this necklace certainly obliges. Length: 17 inches. With easy to use sterling silver hook clasp, plus 2" sterling extender. Strung on highly flexible jeweller's wire for perfect drape.